It's the most wonderful time of the year for shopping! Malibu Enterprise in cooperation with its sponsors BPI Express Credit Edge, SUN Cellular, and Stylebible is bringing back the most awesome sale of the year -- The Big Holiday Outlet Sale 2010 -- happening on December 17-20 (Friday-Monday) from 10AM-9PM at the SMX Convention Hall 4, Mall of Asia Complex. 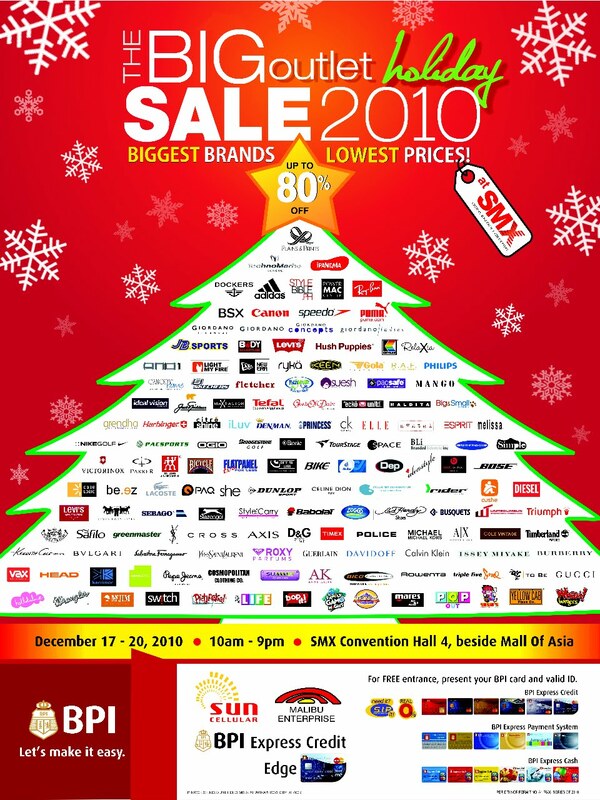 Up to 80% discount awaits when you visit this year's holiday sale. BPI Cardholders (debit card, credit card, etc.) with a valid ID can enter for FREE! In additional, BPI Express Credit Edge Cardholders can get additional discount and a chance to win raffle items. Non-BPI cardholder can sign up for a BPI card at the entrance or just pay a minimum fee of Php50.00. But because GLICH'S LIFE wants you and your family to shop till you drop and enter for FREE, I'm giving away 50 pairs of tickets! 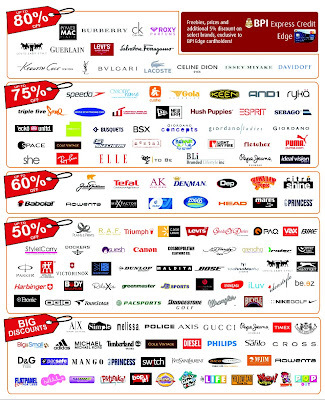 Share this news on your Facebook Wall by writing "Shop till you drop! @ GLICH'S LIFE is giving away FREE tickets to The Big Holiday Outlet Sale 2010! 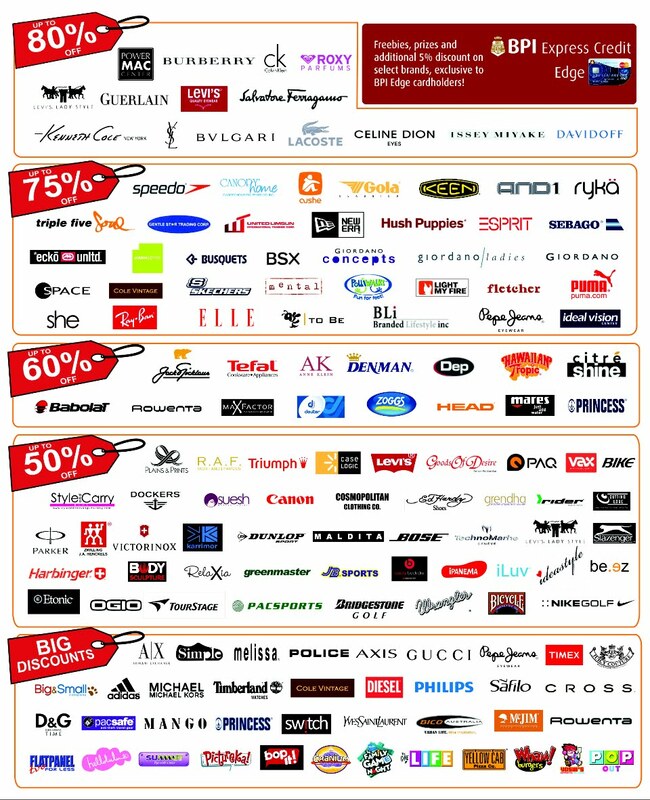 Enter for FREE by joining http://www.glennong.com/2010/12/big-holiday-outlet-sale-2010-is-coming.html" Do not copy and paste the sentence above. You must tag GLICH'S LIFE by manually typing the "@" symbol, where a drop down menu will let you choose "GLICH'S LIFE"
Change the privacy restriction of your wall post to "Everyone" before you click the "Share" button. To check if your wall post has been successful, you should be able to see your tagged post on the Fan page wall of GLICH'S LIFE. To get additional tickets, you can also tweet about it by saying "Shop till you drop! 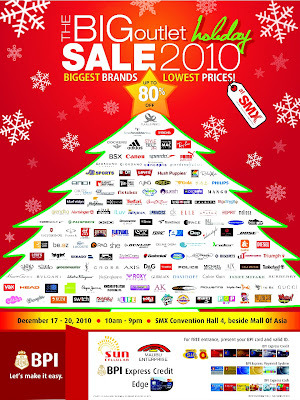 RT to win FREE tickets to The Big Holiday Outlet Sale 2010 by joining @glennong's giveaway! http://bit.ly/TBHOS2010"
One pair of ticket will be given for your Facebook entry and another pair of ticket for your Twitter entry, which means maximum of two pairs of ticket per person only. Comment below with your full name and post links. Deadline will be on December 16, 12NN or until the 50 slots have been taken. Winners will be listed here on the same day as well. 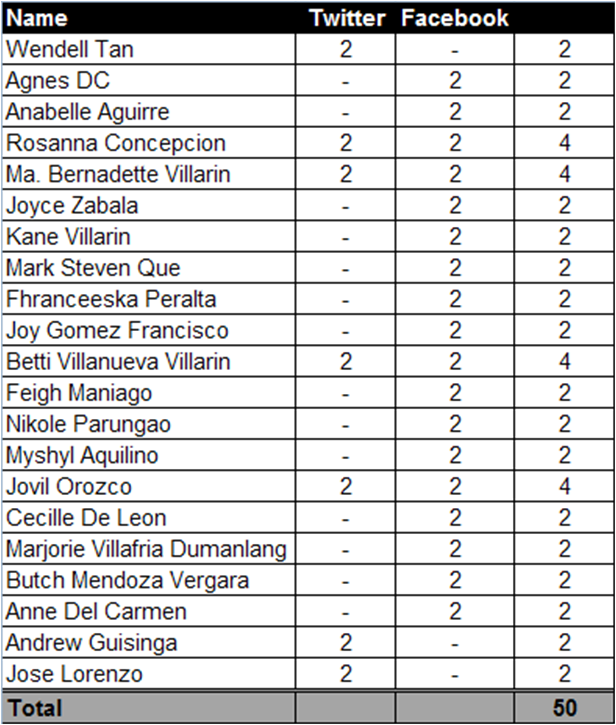 Winners for this round's TBHOS2010 are listed below. Please bring a valid ID and present it in the entrance. 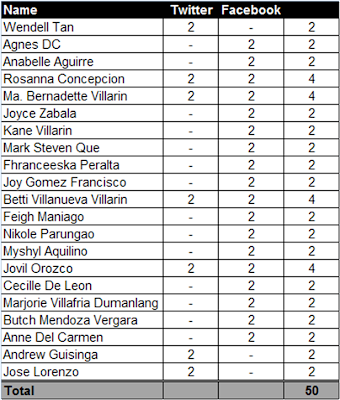 Inform them that you're part of Glenn Ong's list of winners. Happy shopping! Advanced Merry Christmas to all! Wendell Tan tickets for sunday please.